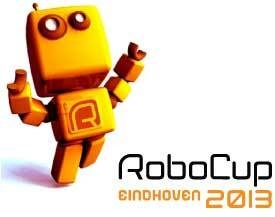 RoboCup@Work is a new competition in RoboCup that targets the use of robots in work-related scenarios. RoboCup@Work utilizes proven ideas and concepts from RoboCup competitions to tackle open research challenges in industrial and service robotics. With the introduction of this new event, RoboCup opens up to communities researching both classical and innovative robotics scenarios with very high relevance for the robotics industry. 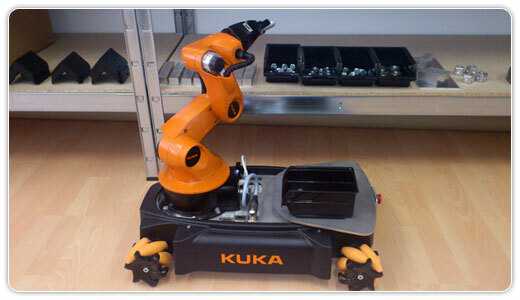 • cooperative transportation of objects (robots with robots, robots with humans). The RoboCup@Work scenarios target difficult, mostly unsolved problems in robotics, artificial intelligence, and advanced computer science, in particular in perception, path planning and motion planning, mobile manipulation, planning and scheduling, learning and adaptivity, and probabilistic modeling, to name just a few.